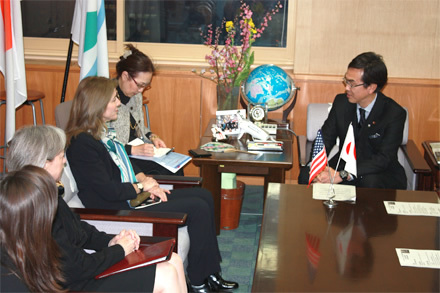 Ms. Kennedy, Ambassador of the U.S., made a courtesy call on Mr. Ishihara, Minister of the Environment. 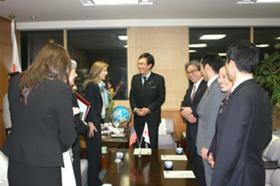 The Parliamentary Vice-Ministers were also present at the meeting. 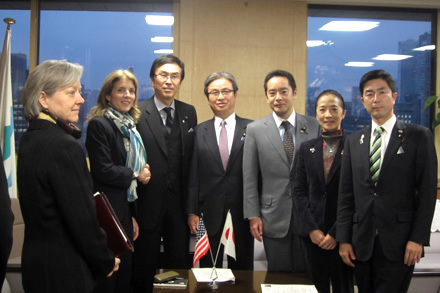 The Ambassador and the Minster agreed to promote bilateral cooperation between the U.S. and Japan on global environmental issues as world leaders.